Palm Springs was known as a weekend getaway for Hollywood’s elite with its scenic views provided the perfect backdrop for relaxation and fun. The exotic trees and foliage was one of the reasons those Hollywood silent film directors would come to Palm Springs to film their movies. Rudolph Valentino made many trips to Palm Springs where he loved the great outdoors especially horseback riding, fishing and camping. In 1921, before filming his movie “The Sheik” Rudolph Valentino and fiancée Winifred Hudnut often came down on weekends to enjoy the outdoors which provided a relaxed atmosphere for them both. 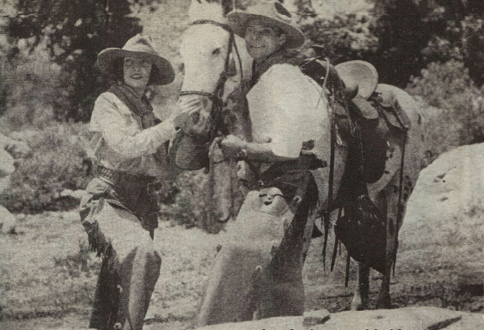 On 13 May 1922, not quite a full year from divorce of his previous wife, both Rudolph and his fiancée Winifred Hudnut were married in Mexico. The newlyweds honeymoon destination was the Palm Springs Hotel, Palm Springs. There they were hosted by the owners who were friends of the couple sisters Dr. Florilla and Cornelia White. Dr. Florilla White plays a major role at Rudolph Valentino’s bigamy trial. The Valentino’s had a lot of friends who owned villas in Palm Springs. 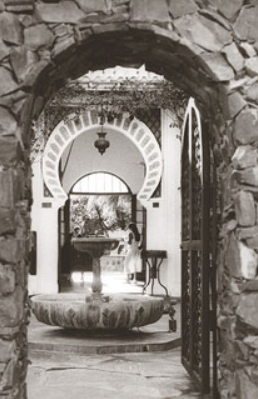 For example, in 1925, the couple were having fighting so to appease Natacha he called Ullman during their stay at the Villa Dar Marroc, Palm Springs the hideaway of Scottish Painter Gordon Coutts. Natacha negotiated with both Rudy and George Ullman for a movie to be called “What Price Beauty?” which would be financed off of her husband’s new movie contract. 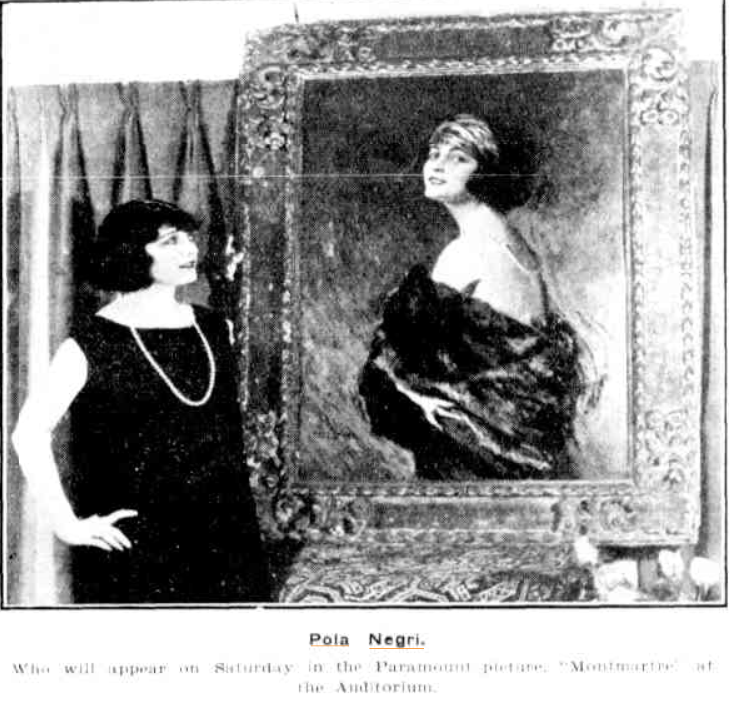 In Feb 1926, his last movie was The Son of the Sheikh was filmed in Palm Springs as well. 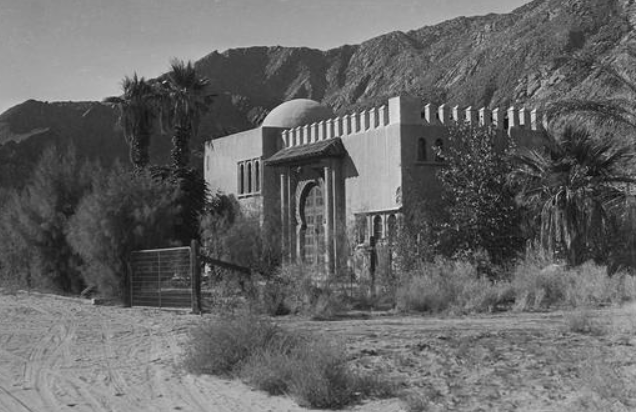 It was rumored that Rudolph Valentino had built a Spanish bungalow in Palm Springs. The bungalows location is in ‘The Mesa’ neighborhood considered one of South Palm Springs oldest and most exclusive areas. The home was later owned by movie actress Esther Williams. Rudolph Valentino died two years ago and he was the most idolized figure the screen has ever known. His passing was mourned all over the world. Even today, Valentino is a living factor in motion pictures. In offices at 6606 Sunset Boulevard, Hollywood, manager George Ullman still acts as his manager for the estate of his friend. Thousands of photographs are sent out every week to those whose love for him never has wavered. Rudy’s personality has triumphed over death. 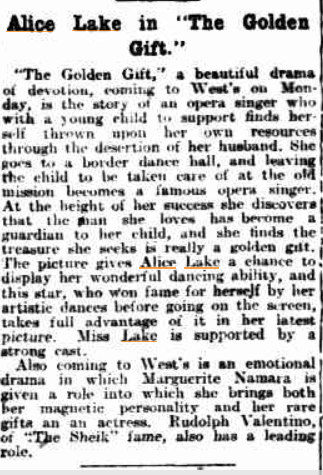 In 1925, a poll was taken in the United States and Rudolph Valentino was named fourth most popular dancer. First off, I want to thank you for this opportunity to interview you for my blog. I enjoyed your first book and I think between that, the yearly calendar, your facebook RV group and your website I am a fan of yours. Well, thank you! I’m very happy that you enjoy the website and the book, which as I am sure you’ve guessed was a labor of love. 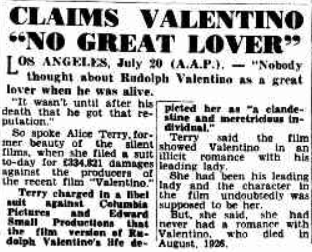 The first question is why Rudolph Valentino? Oh gosh, that question takes too much time to respond. To answer a questions with a question, I’ll start with “why not?” But you might find an answer to that question here: http://www.altfg.com/blog/actors/rudolph-valentino-donna-hill/ and also in reading the introduction in my book. For the purpose of this questionnaire, I suppose the short answer was I was smitten at an early age by the man’s appeal and his in screen magnetism. Everything else that followed was a natural progression of my interest as my fascination in the real Valentino grew, opposed to the “reel” Valentino. The second question is as a Valentino collector what is your very favorite item you collected? I do love the personal items that belonged to Valentino, they are very special. I think, perhaps, one of my favorite items that fell into my hands might be and item which Valentino, himself, seemed very proud. It is a pre-publication proof/copyright exhibit of what later became his book Day Dreams. Valentino sent it to a friend in Palm Springs. It bears a very warm and personal inscription from both Valentino and Rambova. I also have the copy of Day Dreams that Rudy gave to his sister in 1923 in Rome. I have to say, however, I do not measure the value of any particular item more than another. Honestly, I am a temporary custodian and must take care of the items. That is a responsibility. To that end, all are special. As you might guess, I do love the candid and rare photographs. I love digging out the truth of the photos, where they were taken, when and the story behind them. It’s like being a bit of a detective, it’s fun. The third question is what was the idea behind your current book? 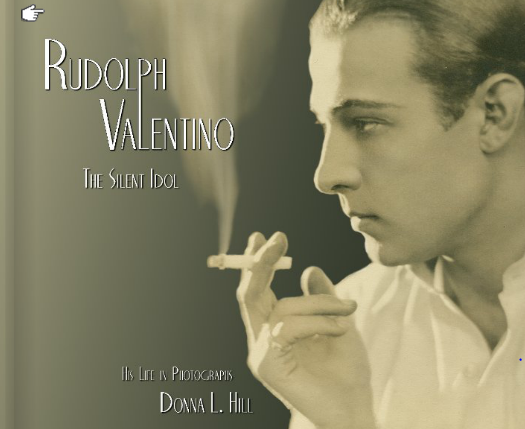 I vaguely announced on my Facebook page for RV The Silent Idol my next project is a book about Valentino’s film career. I’ve uncovered some interesting material and hope to have an interesting book out of it. This is an area that has not really been covered in depth, so I’m enjoying the research part of things right now a good deal. It will not be as photo heavy as RV The Silent Idol, frankly I don’t think I can top that. That said, I do have some really wonderful rare photos to use, including some very early candid snapshots before he was a star that have recently come to light. I hope to have it finished for publication in 2015. The fourth question is there is a lot of positive reviews on your book. As an author, that must make you feel that what you published was worth it. Are there any future plans for a new book? The future book, see above. My other book project is not Valentino-related, though there is a small connection. On the back burner is a biography of Dorothy Gish (who as you know starred in a film in 1919 in which Valentino had an early role). Regarding RV The Silent Idol, the reviews have been very gratifying. It’s sold far better than I ever imagined it would considering blurb’s pricing structure and I feel a great sense of pride in it. Given the limitations I had in self-publishing, it was a job pretty well done. That it has been embraced so warmly is nice as an ego boost because I worked very hard on it. It’s garnered some really positive reviews and still sells with limited distribution and word of mouth. What’s not to like? The fifth question is could you tell us your plans for an updated look for your website? The website is LONG overdue for a revamp. Once I get going on updating, it will be cleaner, with I hope a lot more content. Sadly, life events, working a day job and trying to research Valentino Book 2.0 have taken their toll on my ability to keep up the website. On top of that, technology is passing by at a rapid pace! I need to put in some time to ramp up to speed with all I need to know for the new website. I’m too much of a control freak to hire someone to do the work for me. With the new book happening right now, I suspect the website will continue to be back-burnered for the rest of 2014, I’m afraid. In 1924, here he is photographed on the set of his movie “The Sainted Devil using a 35 mm Parvo Debrie Model L Camera. 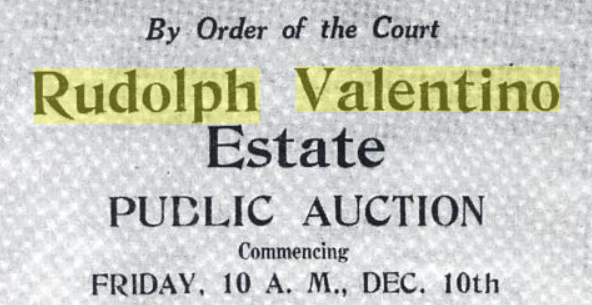 Rudolph Valentino’s Parvo Debrie Camera was number 633 in the Estate Catalog with a price tag of $850. This camera is still highly desirable to collectors and rare to find in today’s market with an auction price of $2,000.00 and up. When you enter the reception room at the MGM the chap who takes your name is just as likely as not to be Jean Valentino, nephew of the late Rudolph Valentino. He’s been working there quietly, since March of last year, and is, they do say the sole support of his father Alberto and mother. Jean is dark like his uncle but doesn’t resemble him. He’s in his yearly 20’s and has no acting ambitions. He tinkers radios in his spare time and would like to be a sound engineer. One of these days, probably he’ll be sending his own name in. The friends of the late Virginia Rapee, for the manslaughter of whom ‘Fatty’ Arbuckle is to stand his trial, declaree that she had a nine year old daughter living at Chicago. It is said that the father, whose identity has not been ascertained, disappeared before the girl’s birth. Hunger and loneliness nights without a roof over my head, shame and remorse-these comprised the cross of my humiliation. My false pride was ground mercilessly to bits then utterly pulverized. I was kicked out of one lodging after another changing rooms four or five times in the course of two months. Sometimes my clothing in lieu of payment. Sometimes I pawned things. One hot day I walked five miles to city hall looking for work and turn down then walked five miles back to my room. My last room was a cubby hole cost me two dollars a week. I went to the Mills Hotel and got a room for 12 cents for one night only. The next night I slept in Central Park. I looked for work everyday. Usually I did not get it, sometimes I made 50 cents by shining the brass on cars, or by doing anything that anyone would allow me to do. I was above no work.